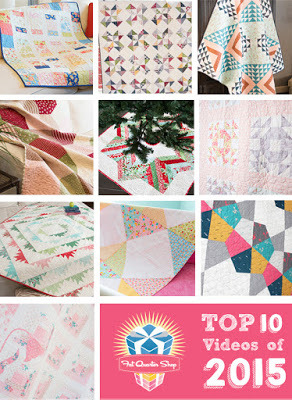 Today we continue celebrating the Fat Quarter Shop Top 10 videos of 2015 with the Bloom and Bliss Receiving blanket. I thought it would be fun to make a blanket with a winter theme as we are in the throes of winter here in Michigan. I chose this adorable fabric called "Let It Snow" by Laura Berringer for Marcus Fabrics. The photo doesn't capture the subtle sparkle the fabric has. Just like the glistening snow outside my window today. This blanket was quick sew, perfect when you need a cute gift fast. 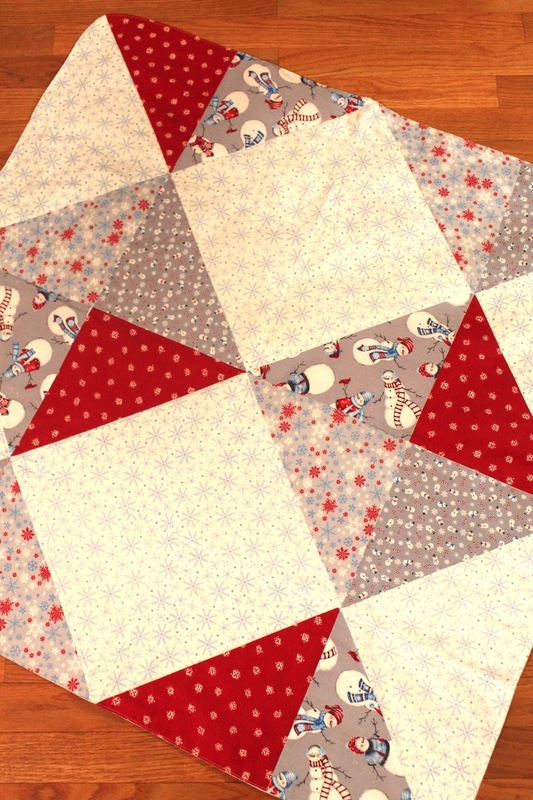 The pattern is layer cake friendly but I cut 10" squares from yardage. I really enjoyed making curved corners and will be doing it more often on my quilts. Templates for making curved corners can be found here. 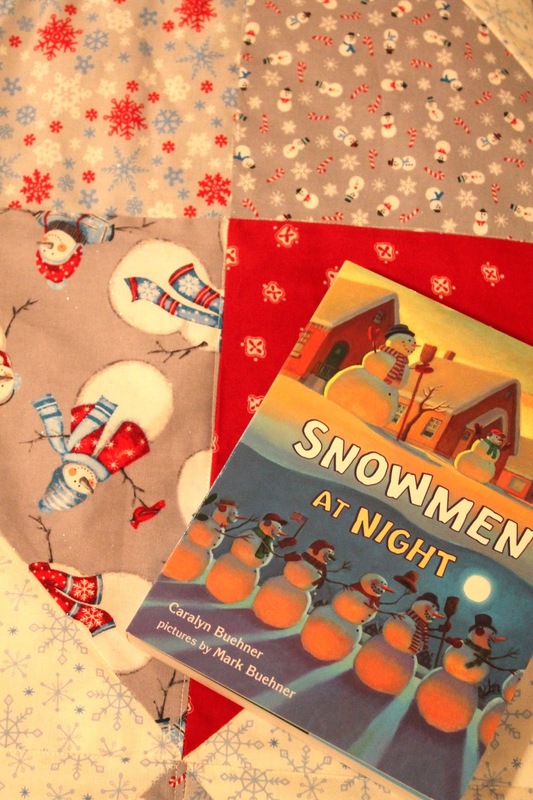 Pair the blanket with a book that ties into the fabric and you have the perfect gift for a sweet child.To read more about the quilts and see the videos, head over to the Jolly Jabber blog. Don't forget, if you make the receiving blanket show it on Instagram with the hashtag #fqsreceivingblanket and #FQSTop10 for a chance to win a Fat Quarter Shop $100 gift card. The contest ends February 1st. I love your fabric choices! Snowmen are my favorite for Christmas and on into winter. In south Mississippi we just dream of a snow day. Our non legally adopted teenager had never seen snow until we finally got a little.....one of the yrs she was w us! Yours is really cute I love snowmen! Your fabric choice is so sweet. I love the idea of pairing the blanket with a book. I just saw some story inspired fabrics that would work perfectly. Thank you for linking to mine also. 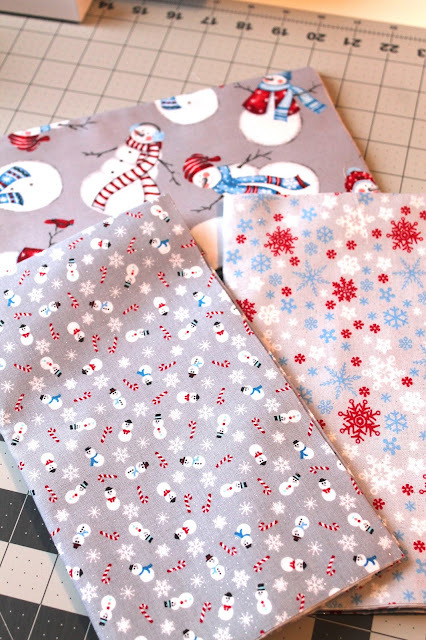 Adorable snowman fabric! Very cute. I will have to check out the curve templet. Your snowman fabric is just the cutest. I bet the snow is just beautiful coming down. What a perfect quilt to make.